DriveNest (www.drivenest.com) is a crowd-monitoring platform of storage devices which are distributed anywhere around the globe. The objective is to collect reliability indicators from devices deployed 'in-the-wild' (not in controlled data center environments), and provide users with statistics and failure forecasting based on predictive analytics. Statistics across a global population of storage devices will enable end-users to purchase storage devices based on hard data, while failure prediction will assist end-users, system administrators, and backup software designers to proactively act upon imminent hardware failures. SCHEDAR will provide novel solutions to the three key challenges of archiving, re-using and re-purposing, and ultimately disseminating ICH motion data. In addition, we will devise a comprehensive set of new guidelines, a framework and software tools for leveraging existing ICH motion databases. Data acquisition will be undertaken holistically; encompassing data related to the performance, the performer, the kind of the dance, the hidden/untold story, etc. 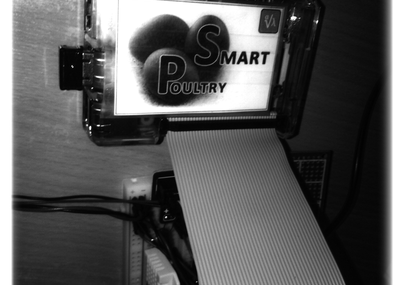 Algolysis is developing a low-cost, integrated software and hardware ecosystem to monitor and analyze the operational conditions of poultry farms. Through a highly synergistic system, composed of sensors, monitoring devices, data acquisition, and data analytics backoffice, we aim to offer invaluable tools and intelligence to farmers and authorities. In turn, they will be able to implement ideal conditions for the animals and optimize their production.